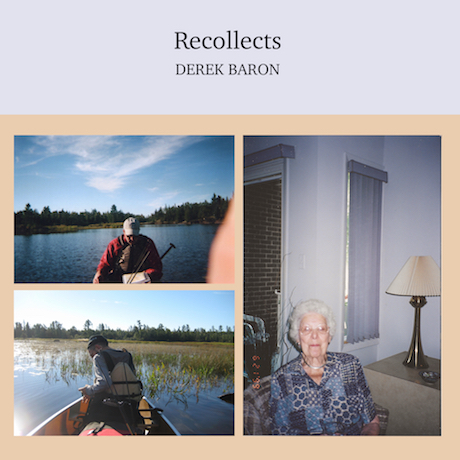 Recollects, Derek Baron's second solo LP following 2016's Crooked Dances, was recorded in September 2016 in the Boundary Waters between Superior National Forest in northern Minnesota and Quetico Provincial Park in southwest Ontario. Here, Derek brings together a repeatedly postponed canoe trip and a bin of old cassette tapes from the 1990s. Family histories are retold and misremembered, wildlife calls are heard and misidentified. Published by Reading Group in an edition of 250.